Everyone has dreams when growing up. Some kids want to be doctors, others want to be the starting quarterback of their favorite football team, but your youngster is a bit different, isn’t he? 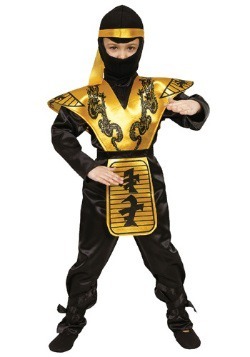 He wants to be the ultimate fighting machine and you know what they say, dress for the job you want. 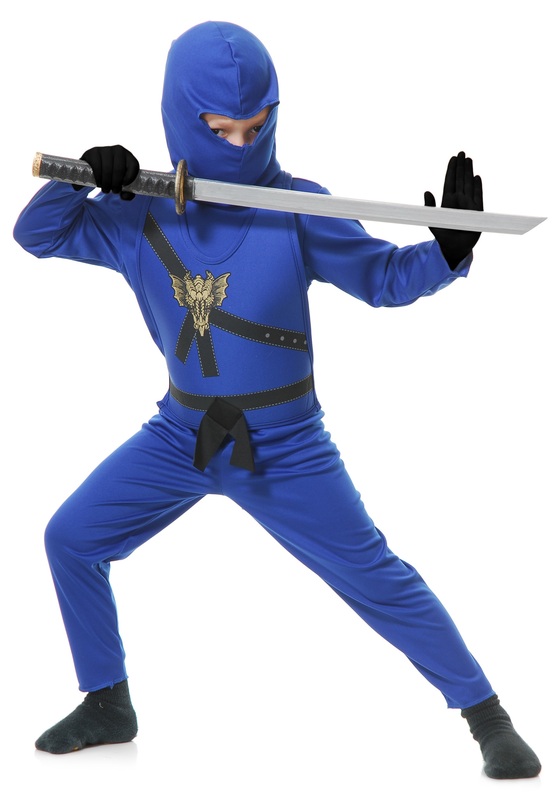 Once he tosses on this Blue Ninja Master costume, he’ll be well on his way to becoming the most feared warrior to walk upon the earth. 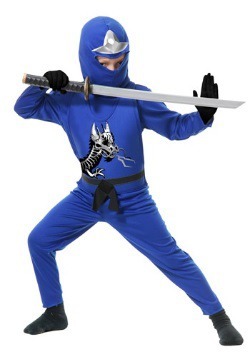 Knights, samurais, pirates, and any other contenders won’t stand a chance in one-on-one combat with your kiddo once his ninja transformation is complete. 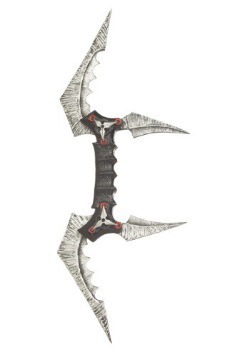 Just make sure he keeps up with his training because a ninja is only as good as his discipline. Maybe tell him that doing the dishes and cleaning his room is all part of his training. 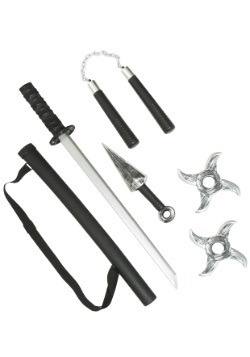 If he truly is dedicated to the ninja way of life, then he’ll do his chores without hesitation. 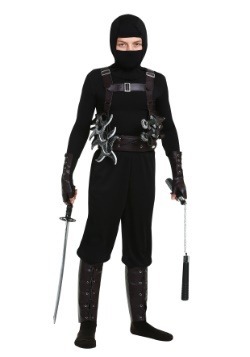 This costume comes with a long sleeve pullover shirt and a pair of matching pants with an elastic waist to ensure comfort even in the grittiest of combat. The pullover vest is decorated with printed black ties and a dragon emblem. There is a tie on the back of the neck to securely fasten the vest. The balaclava hood will cover the entire head besides the eyes. 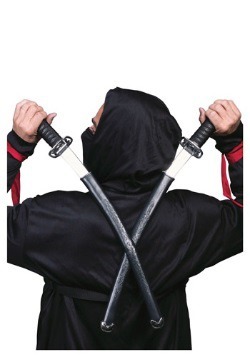 We also have ninja costumes available in black, white, red, and green. 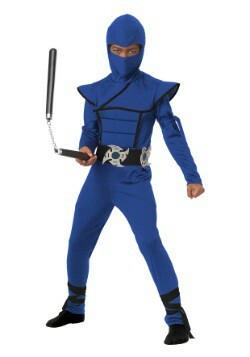 Prepare your pupil for the ultimate profession this Halloween when you grab him this Blue Ninja Master Costume. If he can collect more candy than any other kid on the block then we believe he will be ready for his first actual mission. 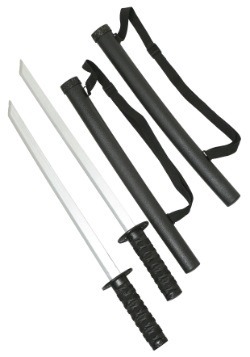 Now, whether that’s yard work or a deep kitchen cleaning is up to you, Sensei!